I have some super duper exciting news to share with you today. 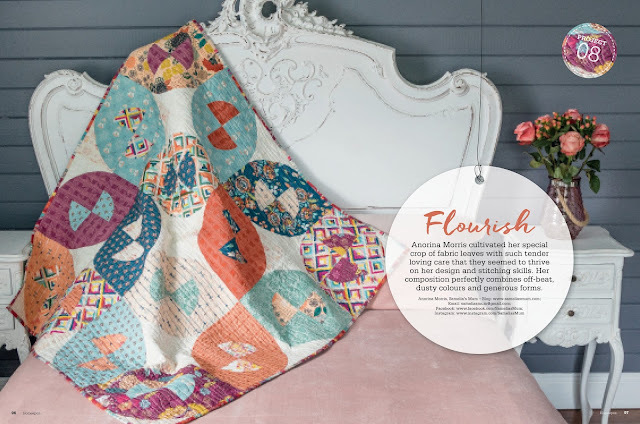 My Flourish Quilt is in the latest issue of Homespun Magazine. Yay! I've designed 100's of patterns, but never any patterns which include curved piecing. It's always been a little bit "scary" for me, but honestly, I don't know why I'd been so nervous about it. Flourish is an excellent pattern for anyone who may be a little bit nervous about sewing curves. The fabric line which I used in this quilt is called 'Fleet & Flourish' by Maureen Cracknell for Art Gallery Fabrics. The range is a couple of years old but it had been sitting on my shelf just waiting for the 'perfect' project. With so many lovely large prints, 'Fleet & Flourish' was the perfect choice for this quilt. I used a fat quarter bundle to make this quilt. With the left over fabric, I made a couple of matching cushions for my sofa. You can read about the 'Flourish' cushions and get the links to instructions on how I did the organic quilting on both the cushion (picture above) and in the quilt. 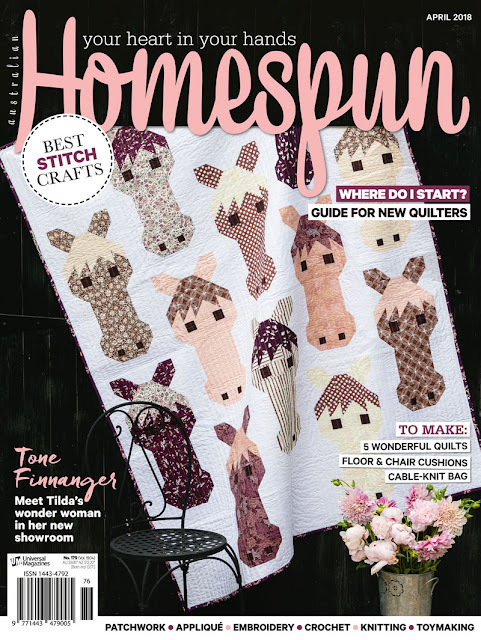 This April 2018 issue of Homespun Magazine is now on sale. Visit their website to find all the details on where to buy print or digital copies of the magazine. I love this quilt! 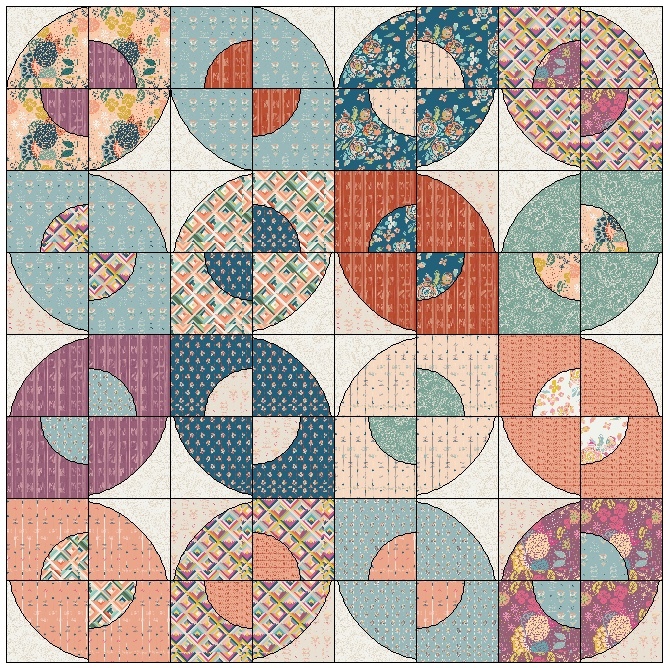 The Drunkard's Path and Bowtie quilts have been on my list since I started quilting 30 years ago. I'm going to buy this magazine and make this quilt to satisfy both desires. Thank you for the great design. This is a beautiful pattern for this fabric. Well done. I love it. I will hunt this magazine down. Great to see your project in the mag. It looks wonderful.